Because of its unique geographical situation Miami is a focal point and conduit for drug traffickers, resulting in high quantities of illegal drugs arriving regularly from all over the world. On the bright side, the challenges of facing drug crises have prompted the city to become a pioneer in developing innovative public response solutions. In 2016 more than 63,600 Americans died from drug overdoses, making it the worst year in history for deaths by drugs. More than 4,500 of these deaths were in Florida. According to the medical examiner’s office, in 2016 drugs took the lives of 455 in Miami-Dade County—324 of them involved opioids. According to the United States Drug Enforcement Administration (DEA) Miami-Dade County has been designated an HIDTA (High Intensity Drug Trafficking Area, a status which if not exactly desirable puts the county in line for a concentration of resources, helping law enforcement agencies tackle a problem that affects the safety of the entire country. While public attention was revolving around the opioid epidemic a surge in cocaine production in Colombia created a surplus of the drug, which drove down prices and thus increased consumption. Miami shares with Orlando the dubious distinction of being a main pickup point for cocaine shipped from Colombia. The drug arrives in Miami by land, air, and sea. Semi-submersible boats that are hard to spot from the ocean’s surface deliver large quantities of the drug to the two Florida port cities. Miami is the county seat of Miami-Dade County in southeastern Florida, the county the furthest to the southeast on the American mainland. 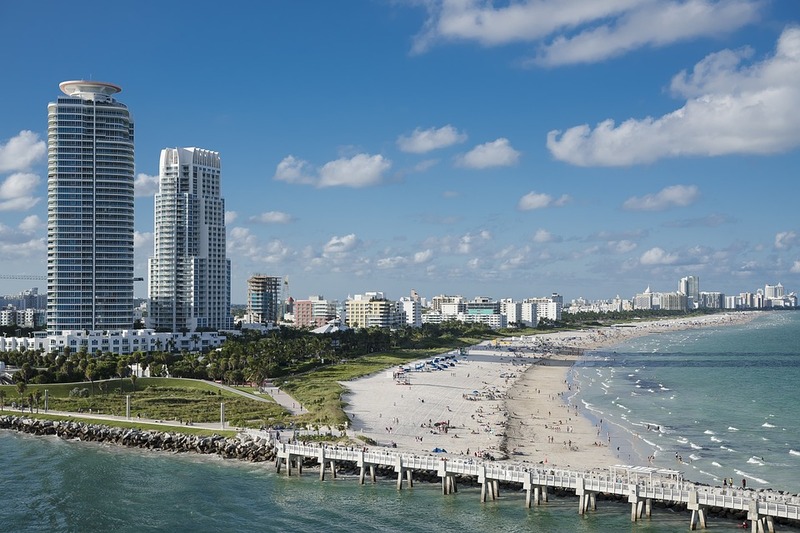 The city of Miami includes the neighborhoods of Flagami, Liberty City, Little Havana, Allapattah, Brickell, Coconut Grove, Little Haiti, and West Flagler. With a population of more than half a million the economy of Miami seems to be growing at the national average, and no recent shakeups seem to oblige anyone to risk taking up drug trafficking to make a living. The reasons for Miami’s HIDTA status are complex but a large factor appears to be availability. Port cities in general are targeted by drug traffickers as entry points to major markets. In addition to ease of access Miami in general is a hub for international drug traffickers and the money laundering organizations so necessary to their survival. Marijuana, MDNA (better known as ecstasy), methamphetamine, heroin, and cocaine often find their way to Miami from South and Central America, the Caribbean, Western Europe, and Canada, from land, sea, and air. Drugs also arrive home-grown. Methamphetamine is produced within Miami-Dade, and many users grow marijuana indoors, carefully keeping their crop to fewer than 100 plants in order to avoid legal penalties. Pharmaceutical drugs are also commonly abused, notably OxyContin. As happened in other cities, recent restrictions on the availability of the commonly prescribed painkiller are said to have caused an increase in the use of methadone. Trafficking prescribed pharmaceutical drugs, referred to as “diversion,” can be achieved in several ways, one by copying a prescription and taking copies to different pharmacies, then selling the pills on the internet. With such a proliferation and smorgasbord of different drugs it seems like you can’t throw a rock in Miami without hitting contraband. If you live here, there’s no question that underground entrepreneurs will find a way to pressure you into buying their product and getting hooked on it. If your peers have succumbed to the temptation, the risk to your safety doubles. If you’ve fallen down this slippery slope, know that there’s hope for you. Many have kicked the drug habit before you, and with the right help you can do it too. Call us now so that we can get you started on the marvelous adventure of getting your life back! The hazards of living in a HIDTA are even greater when you consider that because the drug problem is so large and hard to combat, law enforcement strives to lay out maximum penalties as a deterrent, a practice approved and encouraged by the federal government. For example, you may grow or possess marijuana for medical reasons, but if you don’t have a valid license and comply with all the rules you could be facing a misdemeanor. Recent efforts by law enforcement to curb the burgeoning wave of drug overdoses include augmenting prosecution by categorizing all illicit fentanyl (much stronger than heroin and morphine and responsible for more than 32,000 drug overdoses in 2016) as Schedule I in order to exact more severe penalties on possession and trafficking. While visiting Miami this month Attorney General Jeff Sessions announced that he has set up a law enforcement team headed by the FBI, the DEA, and other agencies. The team is called Joing Criminal Opioid Darknet Enforcement, or J-CODE, and will be targeting illegal online drug traffickers. The passing of the Infectious Disease Elimination Act (IDEA) in 2016 allowed the University of Miami to run a five-year pilot syringe exchange program. The program, in addition to providing sterile syringes also tested people for HIV and Hepatitis C, guiding them into the appropriate health care venues. IDEA also makes naxolone—a medication that can save lives by reversing the effects of an opioid overdose—available to drug users, their friends, and family members. Syringe exchange programs are, according to Human Rights Watch, a highly effective means of getting naxolone into the hands of people who are in a position to save a drug user’s life. Since IDEA began distributing naxolone it has saved 387 lives. Thanks in part to the pilot program’s unqualified success there’s now a bill pending in the Florida Legislature that would allow every county in Florida to run syringe-exchange programs. This legislation that would make similar pilot programs possible in all counties in Florida, some of which now have higher rates of opioid overdose than Miami-Dade. Miamians can rightfully be proud that theirs is the first Drug Court in the country, and in fact the first of its kind in the world, set up in 1989 by the Eleventh Judicial Circuit of Florida. The Drug Court initiative was to provide court-mandated treatment for drug offenders. The program identifies appropriate candidates, seeks to divert these candidates from conventional forms of prosecution, and provides rehabilitation services. Thousands of individuals have benefitted greatly from this program, turning their lives around and avoiding lengthy prison sentences. This progressive initiative has spread not only to other cities in the United States but all over the world. Other addiction treatment centers provide a variety of treatment options for outpatient, inpatient, and residential recovery. Miami offers a large selection of services in many venues, with more than 25 kinds of services for drug and alcohol rehabilitation, both privately and publicly funded. Costs range from high for privately funded services to a nominal cost or free for those funded by the government or covered by state health insurance. Outpatient, inpatient, and residential programs are all available. Miami’s health and addiction specialists (medical doctors and nurses, psychologists, psychiatrists, addiction counsellors, and many others) are trained to examine the addict and their needs within their own individual context as well as assessing the severity of the addiction, looking at the whole person and their environment in order to determine the best course of action. Because of the large Hispanic population many bilingual services are available. Every Miami addiction organization has its own intake process, but most include an interview, a physical medical examination, and a short orientation period. Many programs exist in Miami to mainly provide detox and help through withdrawal, and other organizations provide detox as part of a larger array of services. Inpatient treatment can be a 30-day detox program or a three to six month stay. The longer stays correlate with greater long-term success in terms of staying off drugs, especially if the addiction has been long-term. The goal of the shorter detox programs is to get the patient through detox and to a point where they’re physically stable. They also offer counselling, education, and group therapy in order to help the addicted person avoid relapse. Residential treatment centres (RTCs) require that the patient participate in the center’s programs and work hard to aid their own recovery. Some RTCs are geared toward treating families, individuals, adolescents, or single genders. There are also intervention programs for families unwilling to watch an addicted family member “hit bottom” before seeking help themselves, and considering how dangerous drug consumption is today, intervention is making more and more sense. The big hurdle in intervention programs is getting the addicted person to admit that they have a problem with drugs, that this is not only ruining their lives and hurting those they love, but is also life-threatening. Outpatient treatment is often sought by those unable for whatever reason to put their lives on hold in order to seek long-term solutions to their addictions. Outpatient solutions are not the most effective because they can’t prevent environmental stressors or available temptations. Some outpatient facilities such as methadone clinics and sterile syringe programs are seen more as means of maintaining addiction with a measure of safety as opposed to stopping drug use altogether, and as such they do have great social value. Outpatient services can also address underlying psychological issues that might be impeding recovery. In general outpatient treatments are not seen as viable long-term solutions for the addicted, especially in a city like Miami where drugs are so readily available. Inpatient care also removes the addict from potential triggers in their environments that make relapse more likely. Those serious about tackling their illnesses are better off seeking long-term inpatient care. Hopefully inpatient and/or outpatient service providers can help educate the addict on how to avoid relapse by making specific changes in their attitudes, environments, and habits. Alcoholics Anonymous and Narcotics Anonymous have high success rates in helping alcoholics and drug addicts to remain clean and sober, and many groups meet in Miami. In addition many religious groups offer help to their communities, tailored to their beliefs. There are many psychologists and psychiatrists in Miami who count among their specialties aiding addicted persons in recovery. If you’re struggling with addiction in the Miami area we hope that seeing the wealth of solutions available to you here will give you hope and prepare you to take on the arduous but ultimately amazing journey of recovery. We’re rooting for you, waiting for your call, and ready to guide you through the resources in Miami and on to a life free of addiction.